Steve Hart Attorney - Steve Hart Biography | National Legal Research Group, Inc. B.A., Bowling Green University, 1969. J.D., University of Toledo, 1973, where he was Case and Comment Editor of the Law Review. Member, Virginia Bar. 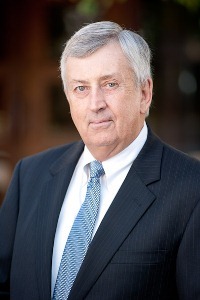 Steve joined NLRG in 1973, specializing in Criminal Law and Environmental Law. He has been a speaker for the ABA Annual Meeting, Criminal Law Section, and is the principal author of The Relationship of Environmental and Historic Preservation Laws to the Surface Mining Act, a study done for the EPA. Steve serves as CEO of Sprigg Lane Investment Corporation and is the former CEO of Virginia Metalcrafters, The Bartley Collection, Ltd., and Heritage Lanterns. He has served NLRG as a Research Director, Department Head, Personnel Director, General Counsel, and President. He is currently serving as Vice President of Finance. He enjoys golf and building 18th Century furniture kits from Bartley Classic Productions.